The HairTools Wide Vibe straightener has wider plates for a quicker and easier finish. 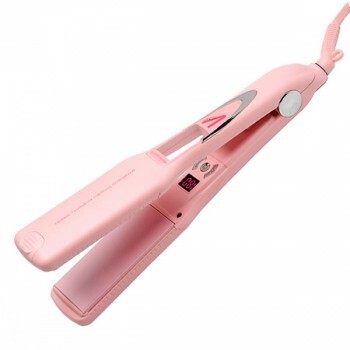 The revolutionary Vibe straighteners feature wide ceramic tourmaline vibrating plates which totally eliminate any pulling or snagging by allowing hair to glide effortlessly through the plates. The Vibe also seals in the natural moisture and eliminate frizz from the hair. · An advanced 210ºc PTFC heater and wide tourmline plates.